As we already started discussing in our post of Laura Vandervoort, the 2013 MuchMusic Video Awards at MuchMusic HQ took place over the weekend in Toronto. Co-hosted by PSY (who also performed), the big award for Video of the Year went to Inner Ninja’s “Classified” featuring David Myles, which also took home MuchFact Video of the Year. Other winners included Drake, Taylor Swift, Demi Lovato, Avril Lavigne, along with Macklemore and Ryan Lewis f. Wanz. 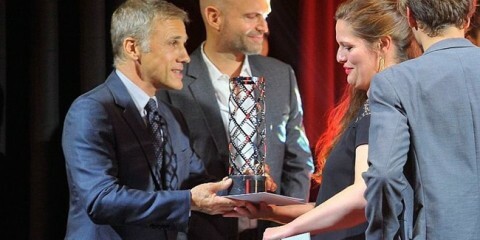 Check out a complete list of winners and performers and visit 2013 MuchMusic Videos Awards. Meanwhile, check out our picks below on the Top 5 Best Dressed at 2013 MuchMusic Video Awards, and share with us your thoughts.